America's Great Awakening's ("America's Great Awakening") Acceptable Use Policy ("AUP") for products and services is designed to help protect America's Great Awakening, its customers, and the Internet community in general from fraud, abuse of resources, and irresponsible or illegal activities. Although this Web Site may be linked to other web sites, America's Great Awakening is not, directly or indirectly, implying any approval, association, sponsorship, endorsement, or affiliation with any linked web site, unless specifically stated herein. 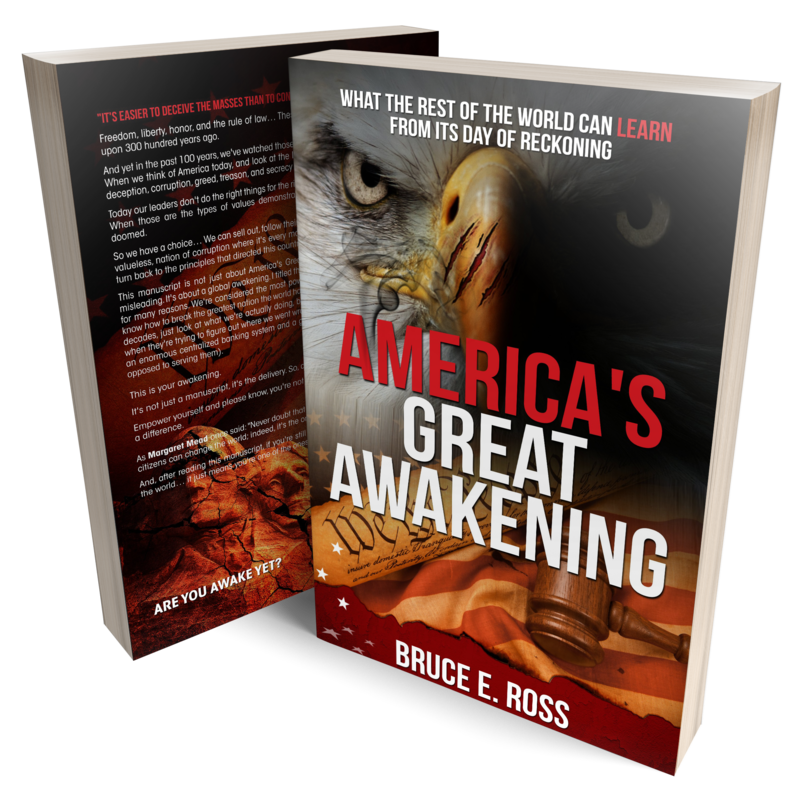 America's Great Awakening is not responsible for examining or evaluating, and we do not warrant the offerings of, any businesses or individuals or the content of their web sites. America's Great Awakening does not assume any responsibility or liability for the actions, Products, and content of any other third parties. You should carefully review the privacy statements and other conditions of use or any web site which you access through a link from this Web Site. Your linking to any other off-site pages or other web sites is at your own risk. Each America's Great Awakening customer (commercial and ISP/reseller) is responsible for the activities of its own customers or end-users and, by accepting service from America's Great Awakening, agrees to inform its customers and/or end-users of this AUP or its own Acceptable Use Policy, which must be co-extensive and consistent with these terms. Using the services to transmit, distribute, redirect, or store material that, as reasonably determined by America's Great Awakening, is inappropriate, obscene, defamatory, threatening, abusive, hateful or which contains or incites violence. Engaging in activity that may or will interfere with the service of another user, host or network on the Internet. Users are also prohibited from activity considered a precursor to attempted security violations including, but not limited to, any form of scanning, probing, or other testing or information gathering activity, without prior express written consent from America's Great Awakening. Distribution of software, programs or messages that may cause damage or annoyance to persons, data, and/or computer systems. Hosts not timely secured or removed by customers may be blocked by America's Great Awakening from accessing the network. Forging or misrepresenting a message header of an electronic transmission originating or passing through America's Great Awakening's network. The transmitting of unsolicited email to multiple recipients, sending large amounts of email repeatedly that annoys, harasses or threatens another person or entity, or attempts to use America's Great Awakening servers as a mail drop or nameserver for SPAM. Sending unsolicited bulk email from another Internet service provider's network advertising or implicating any service hosted or provided by America's Great Awakening, including without limitation email, web hosting, FTP and DNS services. The sending of email with added words/characters in an attempt to bypass Bayesian filters is prohibited. Unauthorized access includes the illegal or unauthorized access to other computers, accounts, or networks; accessing or attempting to access computer resources belonging to another party; attempting to penetrate security measures of other systems; using America's Great Awakening services not included in customer's contract; devising ways to circumvent security in order to access unsubscribed services; using the services in a manner that encumbers disk space, processors or other system resources beyond amounts allowed by the specific type of product; and/or interfering with a service, overloading a service or attempting to disable a host not assigned to customer. Use of America's Great Awakening products and services in a manner that interferes with others' use of the Internet or America's Great Awakening's network. Use of America's Great Awakening products and services to violate the law or in aid of any unlawful act. Posting of messages to newsgroups/blogs/services that are irrelevant, blanket posting of messages to multiple newsgroups/blogs/services, and the posting of annoying, harassing and/or threatening messages. Violation of any rules, policies or charters posted online by any search engine, subscription web service, chat area, bulletin board, webpage, or any other service accessed via the America's Great Awakening network is prohibited. Behaviour by a customer that causes blacklisting must be remedied within 48 hours of written, electronic or telephonic notice from America's Great Awakening. Activities that result in re-listing are prohibited and must be stopped immediately. Known spammers, previously unidentified, will be removed from the network once identified. While America's Great Awakening accepts that the use of the BitTorrent protocol in itself does not breach the terms of this AUP, America's Great Awakening expressly forbids the use of the file sharing protocol to transmit, receive or in any other way disseminate copyrighted material of any nature. This includes but is not limited to, motion pictures, musical works, literary works and artwork. America's Great Awakening has a zero tolerance to this kind of behaviour and will terminate the affected service on the first occurrence that is detected. America's Great Awakening will cooperate with legal authorities in the investigation of these activities and the subsequent criminal or civil proceedings. At America's Great Awakening's sole and reasonable discretion, violations of any element of this AUP may result in a warning to the offender followed by suspension or termination of the affected service if customer does not cease the violation. America's Great Awakening may immediately suspend or terminate service with or without notice if America's Great Awakening reasonably determines that a violation of the AUP has occurred. America's Great Awakening will enforce this AUP according to the severity of the offense and violator's history of prior AUP infringements. Severe and/or repeated offenses will result in immediate termination of service. America's Great Awakening is not liable for damages of any nature suffered by any customer, end-user, or any third party resulting in whole or in part from America's Great Awakening exercising its rights under this AUP. America's Great Awakening has no practical ability to monitor all conduct, communications, or content that might violate this AUP prior to its transmission over the America's Great Awakening network but, where possible and necessary, may do so at its discretion. Therefore, America's Great Awakening does not assume liability for others' violations of the AUP or failures to terminate those violations. America's Great Awakening reserves the right to assess time and materials charges to resolve customer issues that are not resolved by the customer in a timely manner. This AUP shall be governed by the laws of the State of the governing city, without referenece to its conflicts of law principles. You agree that any action at law or in equity arising out of our relating to this website, AUP, or the services of America's Great Awakening shall be filed exclusively in the state of federal courts located in the county America's Great Awakening is registered in, and you hereby consent and submit to the personal jurisdiction of such courts. You agree that regardless of any law or statue to the contrary, any claim or cause of action arising out of or relating to this Web Site, this AUP, or the Services of America's Great Awakening must be filed within one (1) year of the date of the action arose or be deemed waiver and forever barred as untimely. America's Great Awakening MAKES NO REPRESENTATIONS THAT THE MATERIALS CONTAINED WITHIN THIS WEB SITE ARE APPROPRIATE FOR LOCATIONS OUTSIDE THE UNITED STATES. IF YOU USE THIS WEB SITE FROM LOCATIONS OUTSIDE THE UNITED STATES, YOU ARE RESPONSIBLE FOR COMPLIANCE WITH ANY AND ALL APPLICABLE LOCAL LAWS OF THE JURISDICTION FROM WHICH YOU ACCESS THIS WEB SITE, INCLUDING WITHOUT LIMITATION, THE EXPORT AND IMPORT REGULATIONS OF OTHER COUNTRIES. please email us where you would like your order shipped. Price includes shipping internationally. Note: If your shipping address is different from billing address, send us an email. To ensure your satisfaction and peace of mind we offer a “30-Day Money-Back Guarantee” on our book. If you are not 100% satisfied just ask for a refund during the first 30 days. All we ask is you ship the book back in sellable condition and we will promptly issue you a refund minus s&h.